My boys have all sorts of blocks. Ranging from traditional wood to cardboard to the modern-day interlocking block sets. They love to build things like houses and robots and animals with their blocks, and they can sit for hours creating little scenes. 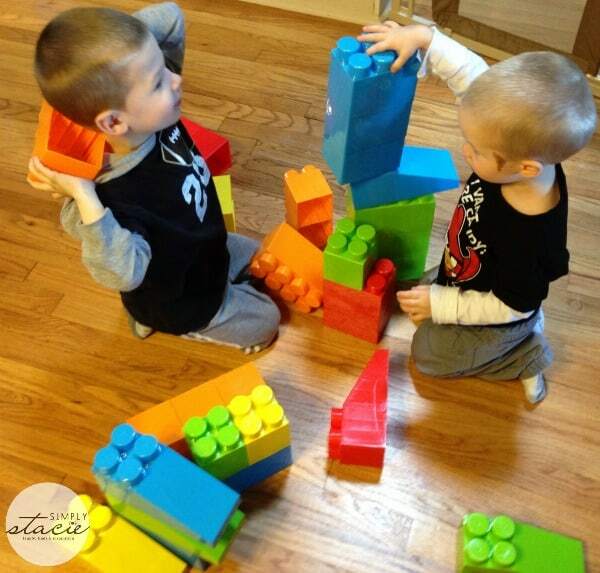 With all the varieties of blocks that we own, my boys are never bored. I’m happy to say we’ve added a unique and fun set of life-sized blocks to our collection from Massbricks. My boys and I received a 31-piece set of Massbricks for review. These blocks are large and colorful and were easy to manipulate by both my five-year-old and two-and-a-half-year-old. Both of my boys were excited to build with these blocks and I let them have a little “free play” with them for a bit. After a while I showed them the book that came with the blocks that showed how to build various structures – a plane, a rooster, a house, a dog, etc. After flipping through the pages to see all the building options we decided as a team to build the robot. We worked together and I was able to incorporate some education into our fun by having the boys hand me blocks that were certain colors or that had a certain number of pegs. 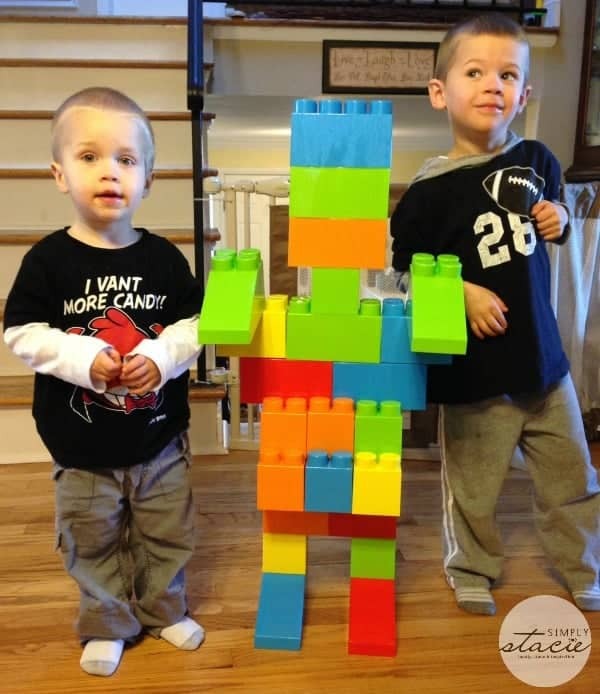 I think our robot turned out pretty neat – and my boys loved that it was as tall as they were! They love these blocks and we’ve been having a lot of fun together creating with them. 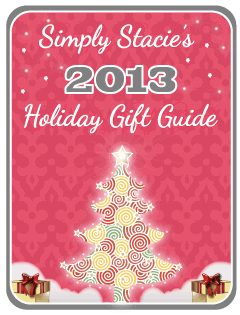 This set sells for $78 and would make a great unique holiday gift for any child. Massbricks was started by a husband and wife team who set out to help parent’s maximize their children’s potential. They wanted to give parents and children something that would be a fun, collaborative activity where they could engage on a physical, emotional and intellectual level – and Massbricks fit that bill perfectly! Massbricks are known to refine gross/fine motor skills in toddlers, build confidence in exploring different types of play, nurture the parent-child relationship, generate family bonding, and gives families an occasion to have fun. 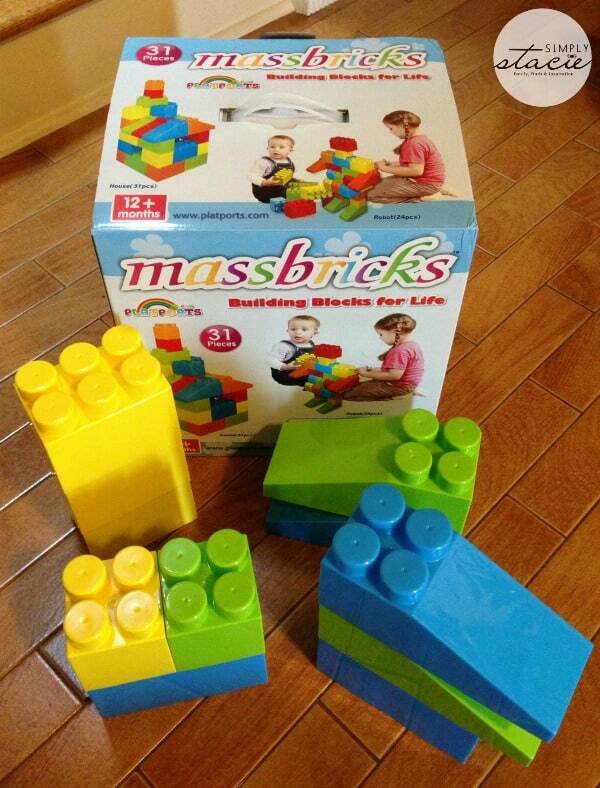 Massbricks are available in multiple pack variations. They pass all safety standard tests. I learned that they are super safe for kids. I liked how safe this product is. I learned that they are very safe and passed many tests. I see that are huge which opens the doors to more fun and creativity and most importantly they are very safe. I would love these for my grandsons! 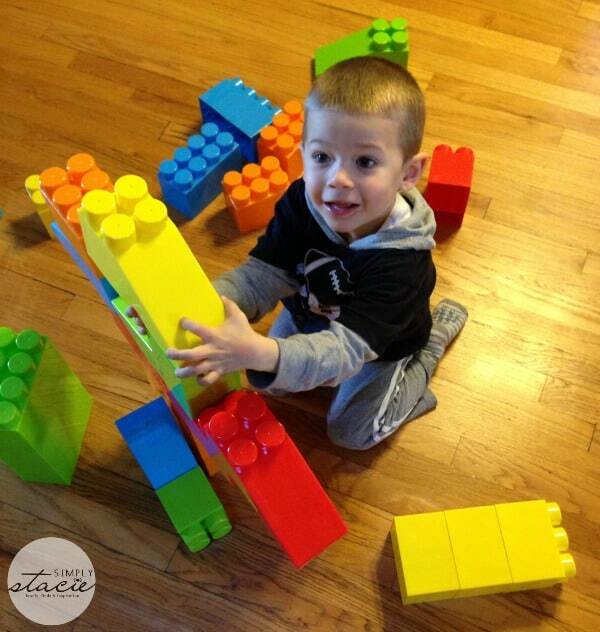 I learned that Massbricks are found to Refine gross/fine motor skills in toddlers. I love the size of the bricks; they will allow my young son to build and use his imagination without me worrying about him swallowing them. It was interesting that the creators of these blocks studied Psychology and Family Therapy. I like that it’s a safe product for children. I like that they come in all different sizes! I love the size of them,for smaller kids gives them chance to work their brain with out the little blocks they can’t handle and keep up with yet. I learned that one of the reasons they were created is to Refine gross/fine motor skills in toddlers! My son loves blocks and these are amazing! I learned about all of the safety tests they have been put through! I like that there are more sets that’ll work together. I like that they were created by a husband and wife that had studied family therapy and psychology. I like the Massbricks – 40 Pieces With Small Roofs. I liked the Massbricks – 40 Pieces With Small Roofs.